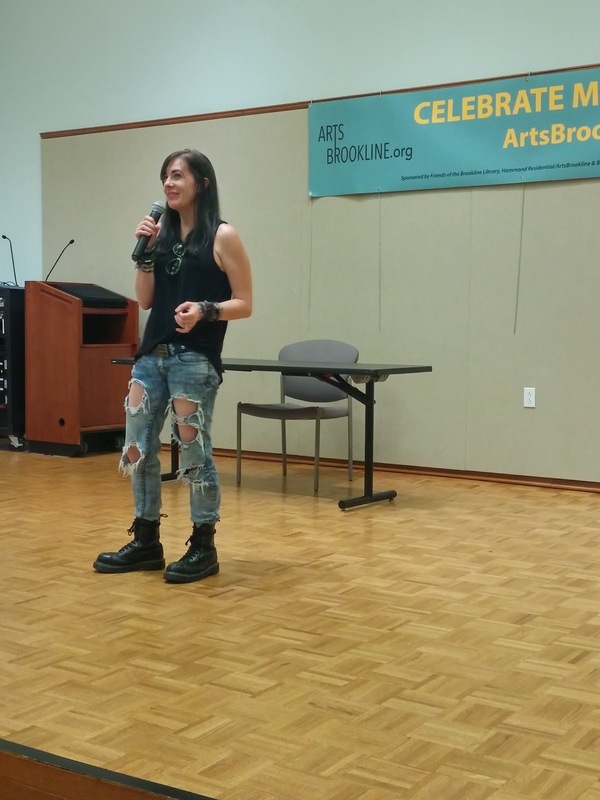 By•Ellie•M: Maggie Stiefvater Signing & Guest Vlog for the YA Word Nerds! 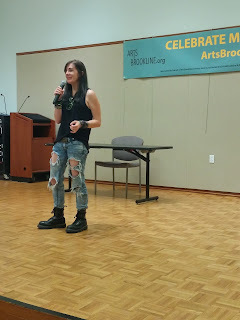 Maggie Stiefvater Signing & Guest Vlog for the YA Word Nerds! So May 26th, The Brookline Public Library had Maggie Stievfater for a signing. 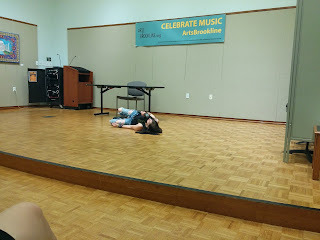 When Maggie announced she'd be coming to MA, I freaked. She had originally only posted about going to Plainville, which was a good hour+ DRIVE. So there was a whole big deal on grouping up and driving down with some friends. But then Maggie announced she's be coming to Brookline, which was only a 20 min walk from my work! Commence flailing. 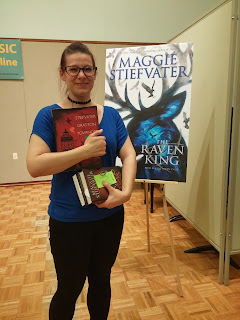 I stalked Maggie's twitter and tumblr about the past tour stops and how all the tickets and books were selling out like water before a hurricane. 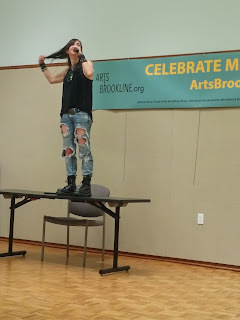 Then The Brookline public library posted that there would be tickets for the event. They'd be on sale May 5th at 10am. I marked my calendar. I made an alarm. I was at work, but I work at a computer, so I had the eventbrite page up, all signed in, pressing the refresh button like crazy from 9:55 to 9:59 when the button glowed green! AHAH! I quickly clicked buy and got my ticket, at the same time g-chat-screaming at my friend Lauren to get her's too. Those tickets sold out in less than ten minutes. 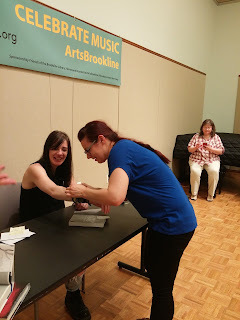 I got to the event around 5:30 and killed time chatting with Annie while we waited for the doors to open at 6pm. The library building is SO beautiful. 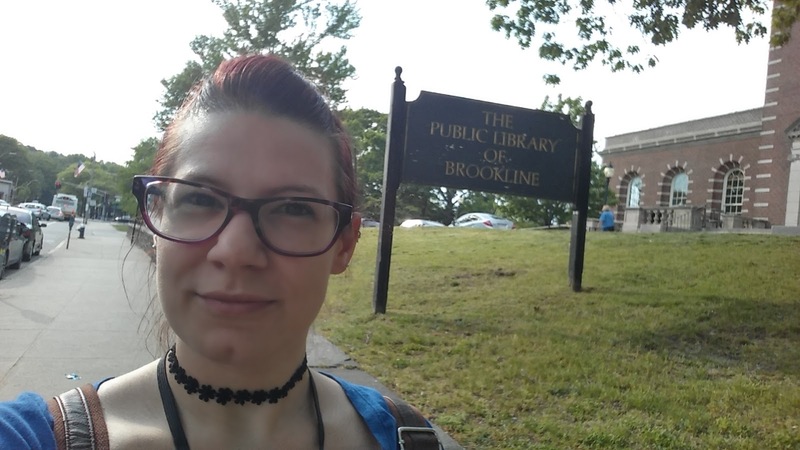 I swear, libraries in the Boston area are gorgeous. While in line we met up with Melissa, Molly, Lauren, and saw Rachel and Nicole helping out! 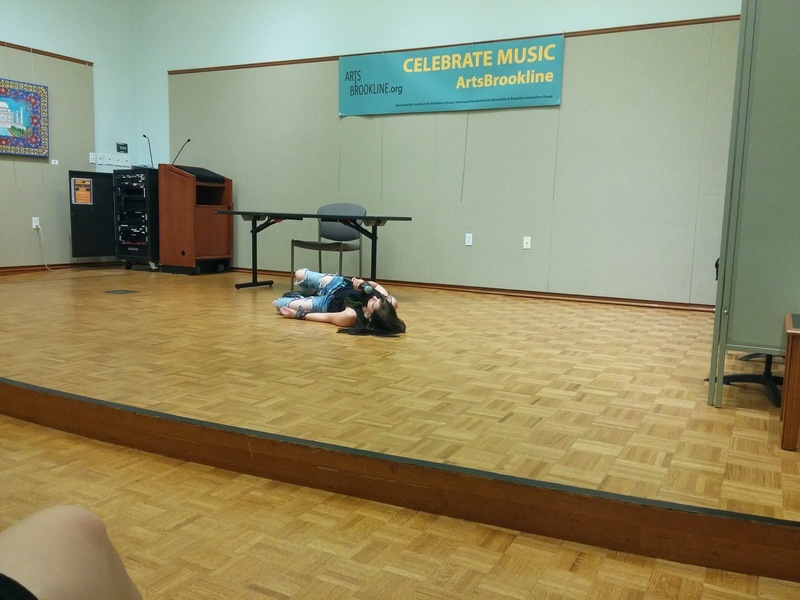 Rachel was actually doing the live tweeting from the library's handle for anyone who couldn't make it. 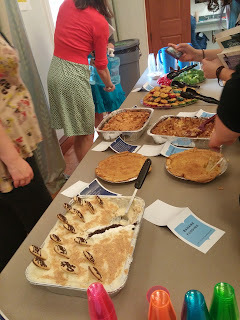 The Library has a bunch of amazingly delicious southern food available, with yummy sweet tea to wash it all down. The butter pie was out of this world, and I forget the name of my favorite thing, I think it was some sort of bread pudding? 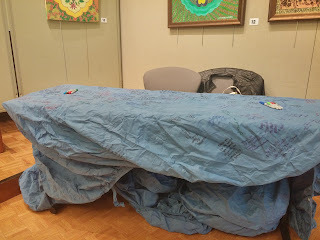 Maggie also brought her car cover for everyone to sign while the book signing was going on too. 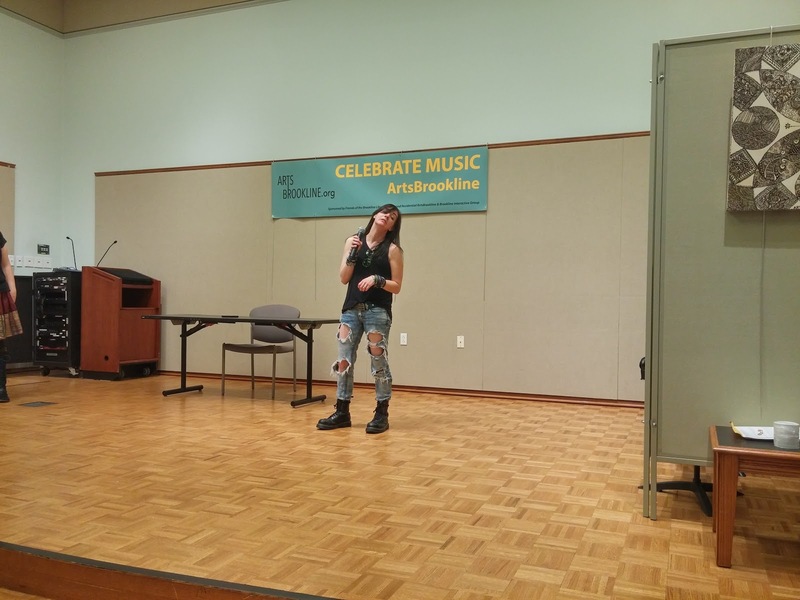 She's just so animated and such an entertainer! In her FAQs she said she's accept friendship bracelets. 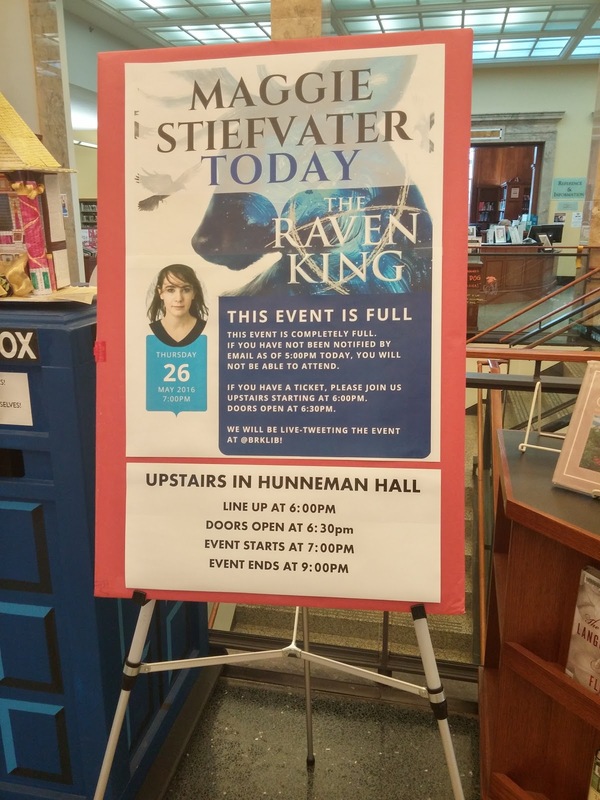 So I made one and put tied it on and she commented that the colors were The Raven King's cover colors. :D I'm so glad she liked it. I got my Curiosities book signed, and bought The Raven King and a paperback of The Scorpio Races at the event. 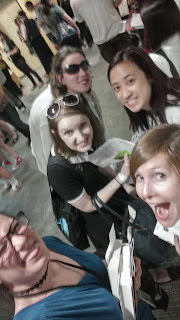 Another thing that happened was that I was asked by the wonderful YA Word Nerds to do a guest Vlog!! 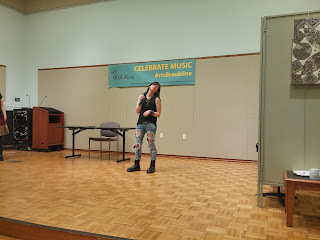 A while ago, when they were taking auditions, Kellie had reached out to me asking if I'd apply since she had been my mentor for this past NaNoWriMo. I wanted to SO BADLY. But I wasn't sure if I could give it the appropriate time the job requires. I applied anyways, but mentioned my dilemma and how I'd love to do some guest vlogs if they ever needed. If you haven't heard of the YA Word Nerds, you're seriously missing out. These girls update the channel EVER DAY with bookish things. Writing advice, reading recommendations, live Sunday chats with a different topic each week, monthly book club talks, and even live write ins! They do it all. 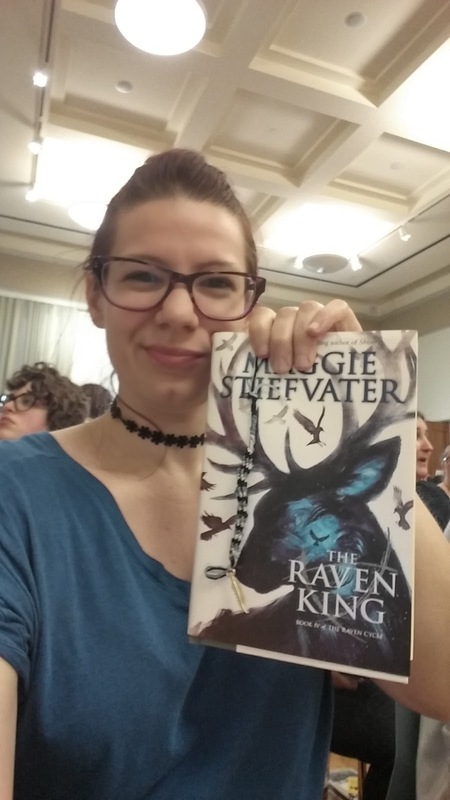 I really enjoyed The Raven Boys and I can't wait to read the rest of the series! AHH MELISSA MY GURL! I auditioned for the Wordnerds too, but alas I wasn't picked :( Love your guest vlog! !